A new Shell service station is to be constructed on a prominent corner site at Biggera Waters on the Gold Coast which has been sold for $1.1 million. The 1107 sqm site at 41-43 Brisbane Road, Biggera Waters, was sold to an interstate investor by Tony Grbcic of Ray White Commercial Burleigh on behalf of the O’Bree family. 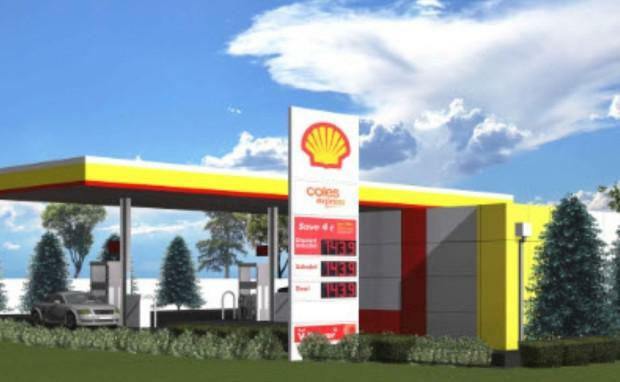 Mr Grbcic said the purchaser has subsequently secured Shell as a long term tenant for the site and the oil giant has obtained DA Approval to construct a service station there. “Construction of the service station is due to commence shortly and it should be completed by late 2015,” he said. Mr Grbcic said the site was previously the home of established Gold Coast motor vehicle dealership Realistic Cars. “This site is well situated on Brisbane Rd on the corner of Clarke Street and will be ideal for a service station with multiple access points,” he said. Mr Grbcic said the site was in a premium location on the main arterial road in the heart of Biggera Waters. “This is a popular area for local businesses being located on one of the Gold Coast’s busiest and major arterial roads offering easy access to the M1 Motorway,” he said.